Thought for the Day: Are you afraid to come out of your comfort zone? Getting back into the world after a huge loss can be difficult. Believe me, I’ve been there, but at some point God wants us to break out of our comfort zones and share ourselves with other people. Have you ever been afraid to share yourself with others because of your imperfection? I have. 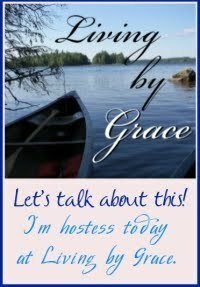 I have gone through cycles in life feeling less worthy of God’s grace causing me to feel imperfect. That emotion though, does not come from God, but rather from my own fleshly insecurities. God gives each one of us our own individual talent but for some reason, we tend to keep it inside. Some of us won’t share because we may feel vulnerable; afraid others might exploit us and make us feel less than who we are. Who has ever shared something personal with people who in turn didn’t respect your feelings? I have! I have participated in prayer groups and shared one-on-one where people felt it more necessary to gossip about a prayer request rather than pray over it. It has caused me more than a few times, to close up and desire to not share at all. Been there? Maybe we share and scare someone into forming opinions? Was the timing off or were they judging where they should not have been? I think it can be both ways. We can say we’re going to pray but are so preoccupied with our own “junk” that we forget to really pray, but, if the opportunity arises, we’ll share with someone else that prayer request. Not for them to pray but for the judging gossip. Ouch! I’ve been guilty of that in the past. There were times I was too busy to pray and formed opinions before truly knowing a person or their situation. I was never really much into gossip though. Thank you Lord. I’m much better at not judging, but rather, asking God to reveal if there is something I should be aware of. I do not want to make anyone feel imperfect. God powers us with wisdom. He will show us how to choose safe people with whom we can share our vulnerability with and by this, we may allow others to be vulnerable too and participate in show-n-tell time with us. Oh Lord, help us to be more aware each day of who is hurting and truly remember to pray for them. Help us to be able to share with others without feeling inadequate or fearful. Amen. Is there something you need to share with someone? Please know that you may share here at Living by Grace. There are wonderful, loving Christian women who will pray for you. Please join our conversation as I host today’s discussion on coming out of our comfort zones and learning to share with confidence.